It is a fact that baking has never been my passion. For some reason, I prefer crafting and while I can take months to do a cross stitch calendar or crochet a pair of booties, the thought of all the weighing, waiting and washing that come with baking irks me somewhat. Then again, there are those days when I do wish I could bake. 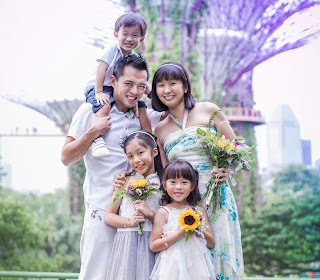 Let's see, how about that picnic session when all the wives brought along something home baked or cooked while I brought along muffins from the supermarket. Or on special days like our wedding anniversary or the hubby's birthday and I wished I could have wowed him with a homemade cake. Back in Sweden, with the help of my Philips hand mixer, I did try my best to whip up simple bakes like egg tarts, sponge cakes and chiffon cakes. Now, as a mum of two young kids, my baking philosophy is that it cannot be too complicated, it cannot be overly time consuming, and it must still taste good. A little ambitious? 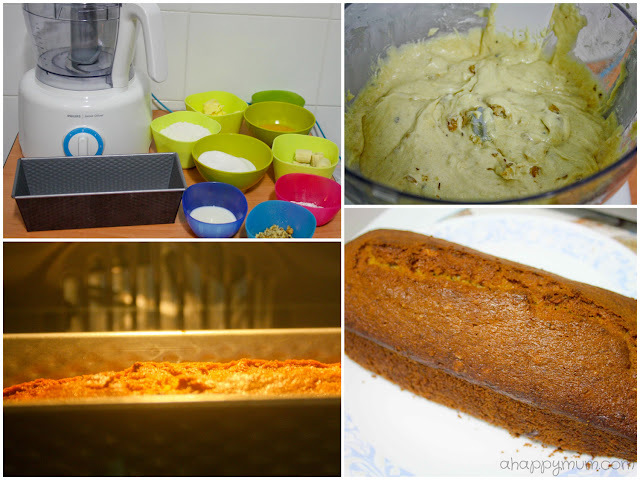 Well, recently I discovered the perfect solution to creating easy, yummy bakes, thanks to the Philips Jamie Oliver Food Processor. 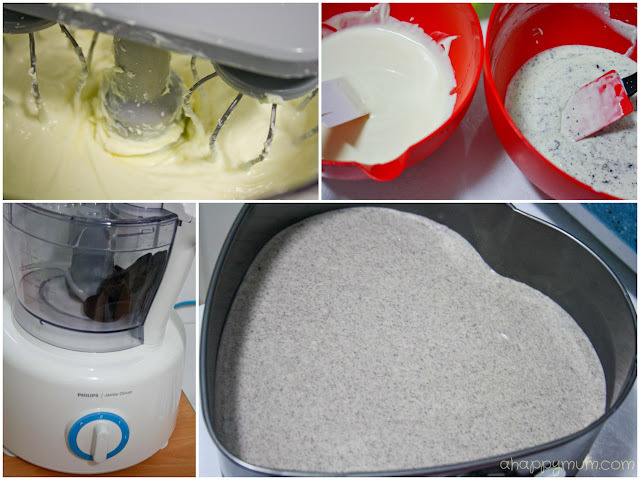 Yes, you heard right, I used a food processor to bake and here's how you can do it too! A food processor is a great kitchen helper and helps to save time, something which mums cannot really afford. To quote Jamie Oliver, he says "I use my food processor every day. This one chops like a ninja and speeds up every aspect of my cooking, whether I'm slicing, shredding or mixing. It can even be used to knock up a quick ice cream". With a powerful 1000 W motor, the food processor can slice, shred, blend, knead, juice and whip almost any ingredient. It also comes with a safety lock and easy-release suction feet. 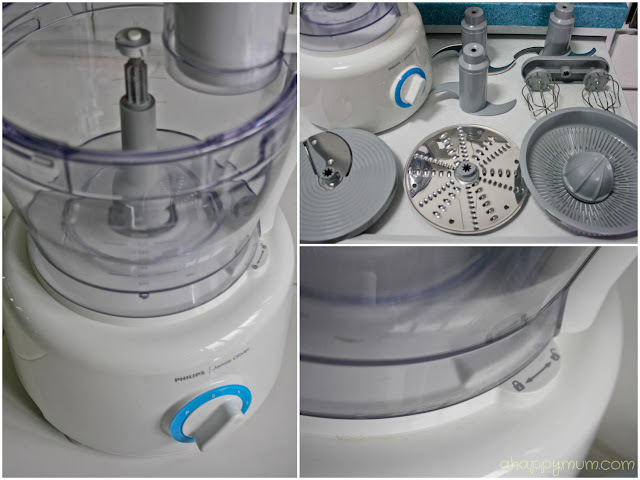 The Philips Jamie Oliver Food Processor is fully equipped with an adjustable slicing disc for thin to thick slices (1-7mm), reversible shredding disc (fine or coarse), citrus juicer, chopping knife, serrated knife (for frozen desserts), kneading tool and double metal balloon beater. How would you like a cake that can be prepared and baked within two hours and uses mainly ingredients you can find in your kitchen cabinet? 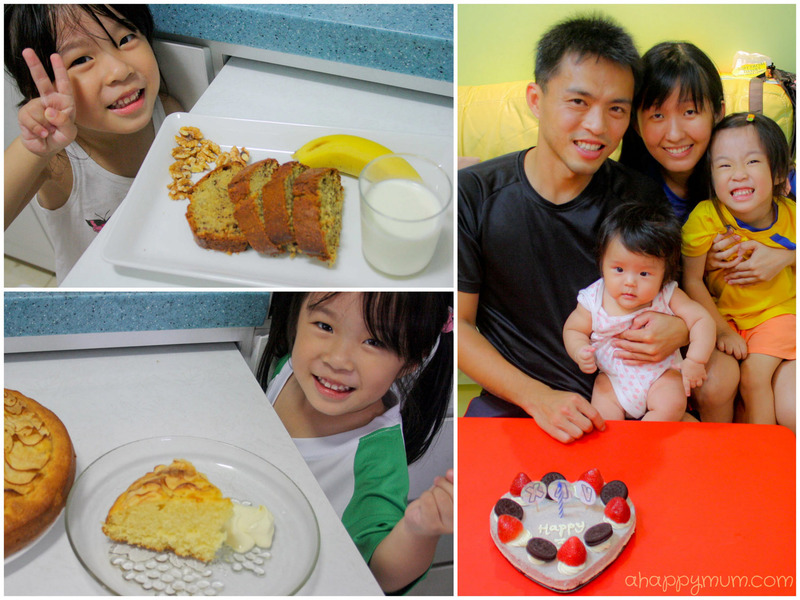 One afternoon, we decided to make an apple teacake, which is typically a heavier sponge cake served warm from the oven. 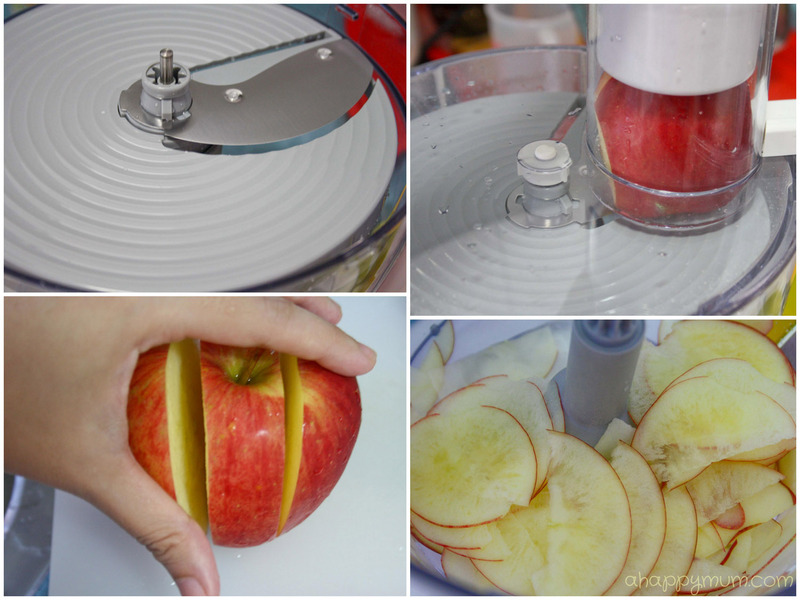 Cut the sides of the apple, fit into the pusher, use the slicing disc and voila, you get dozens of paper thin apple slices in just seconds! It was my first time using a slicing disc and I was surprised to see that it could be easily adjusted to enable a variety of different thicknesses to slice apples, potatoes, carrots, cucumbers etc. I was also impressed by how fast it took - just seconds as compared to the hours I would have spent on the chopping board just getting the same slices. Who am I kidding, I can never slice them so evenly! Most of the time is spent on weighing and getting the correct ingredients. Once that is achieved, the rest is easy! Recipe adapted from Everyday Gourmet. 1) Mix everything except the apple slices in a food processor for 8-10sec. Scrape the sides of the bowl, mix for another 2-3sec. 2) Pour the batter into a greased springfoam tin lined with baking paper. I used a 9" tin. 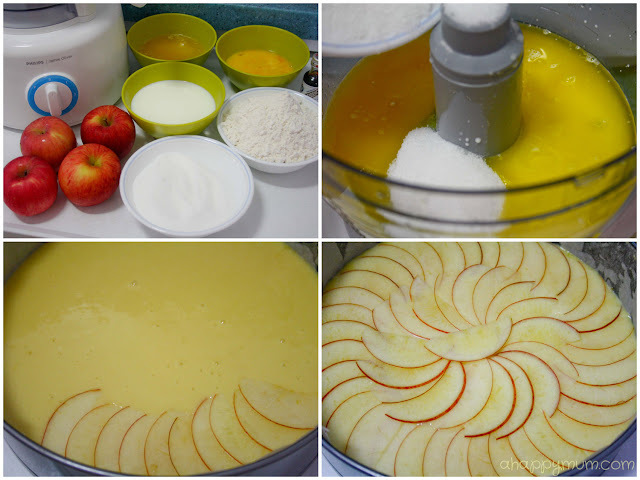 3) Layer the apple slices on the top as shown, starting from the outside. 4) Bake at 160°C in a preheated oven for 50-55min. Remember to use a skewer and do a cake test to make sure it is ready. And it's done! Easy breezy, right? You can brush some apricot jam onto the cake and sprinkle some granulated palm sugar too. Serve it up with some cream and you have a wonderful cake to accompany your cup of hot tea. My in-laws attested to the sponginess and taste of this cake and even my girl, who is not exactly a cake lover, couldn't help but ask for more! I usually like to have bread and a glass of milk for my breakfast every day. However, I have never imagined that one day, I would make my own bread. While croissants still remain a dream, I am contented with baking some healthy banana walnut bread for now. Grease the sides of a loaf pan. We used our only 8.5" loaf pan at home, brought all the way from Sweden. My girl was all set to help in the bread making! Make sure you use ripe bananas to get the sweet-smelling fragrance of the fruit. 1) Mix the banana and butter in the food processor for 15-20sec. 2) Add in remaining ingredients except for walnuts and blend for 8-10sec. Scrape the sides and blend for another 2-3sec. Fold in the nuts and pour batter into a greased loaf pan. 3) Bake at 180°C in a preheated oven for 55-60min. Do a skewer test to make sure it is done. Ta-dah! I was thrilled to present this to Angel for her breakfast and even though she couldn't finish everything on the plate, it was heartwarming when she ran excitedly and told Daddy "Mummy make bread! It's nice!" For the hubby's 34th birthday, I decided to surprise him with a cake and since I had plenty of Oreos lying around the house, it made perfect sense that we did an Oreo cheesecake. For those who do not have an oven at home, read: This is a non-bake recipe, if I can do it, anyone can! I always use this heart-shaped springfoam tin on special occasions like this. Speaks of love, doesn't it? Recipe adapted from Aunty Yochana. 1) Mix crushed Oreo cookies and butter. Press firmly into a 8" springfoam tin and place in fridge to chill. 2) Sprinkle gelatin into the cold water in a bowl but do not stir. Let grains swell for 5mins, stand the bowl over a pot of simmering hot water, stir with spoon and when gelatin dissolves, remove the bowl and set aside to cool. 3) Beat cream cheese with icing sugar till well combined. I used the balloon beater in the food processor for this and thereafter, you can just mix by hand using a spatula. 4) Add in milk and mix till well combined. Add in gelatin mixture and mix till well combined. 5) In a mixing bowl, fold in whipped cream and divide mixture into two portions. 6) Fold in chopped Oreo cookies in one portion, honey and vanilla essence in the other. 7) Pour in the white portion onto the chilled base, level it and allow to set in the fridge. This takes about 1-1.5hrs. 8) Pour the Oreo portion onto the first portion, level it and allow to set in the fridge for 3hrs. 9) Decorate the cake as you please, chill and serve immediately. I like to put it in the freezer because it gives you a delicious, Oreo ice cream cake at the end of the day! Happy birthday, dear! How do you like your cake this year? All the relatives, including the niece and nephew, loved every bite of the cake and one even thought that he was eating ice cream on the top layer. I can honestly tell you that this was the very first time I was willing to offer any of my homemade cakes to friends and relatives and for it to be such a smashing success, you bet this recipe works and it is a delight for everyone from young to old. Homemade cakes and desserts make my family happy, and when they're happy, I'm on top of the world. All in all, thanks to my magical helper - the Philips Jamie Oliver Food Processor, I am loving my kitchen more nowadays and I am guessing there will be more bakes and home cooked food to come our way! Keep life simple with the PHILIPS | Jamie Oliver range which includes a food processor (S$268), blender (S$128) and hand blender (S$108). Available at leading electronics and departmental stores. 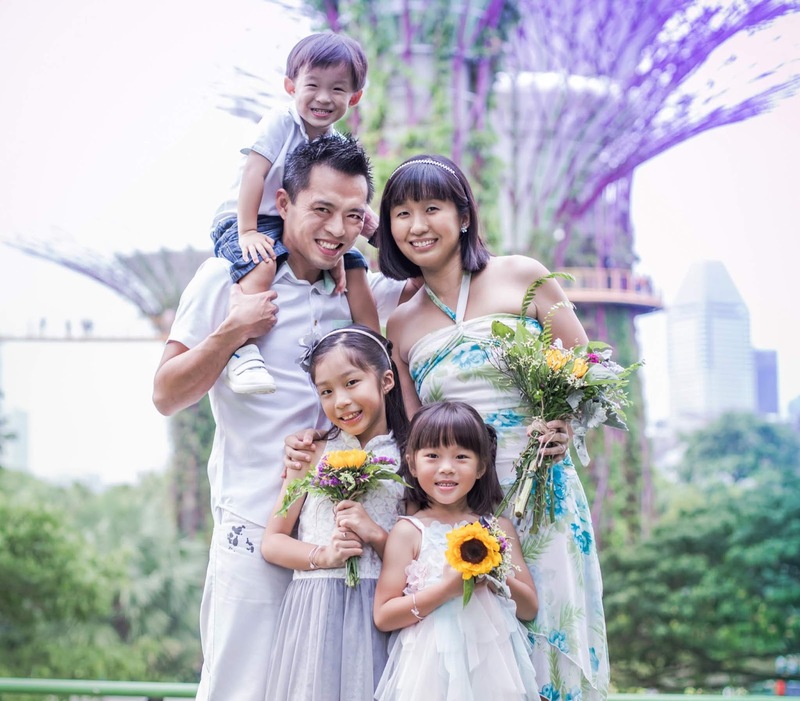 Disclosure: This advertorial is part of a series of sponsored conversations between Philips and A Happy Mum. Product attributes are from Philips and all opinions are my own. WAH!!! Nice! I wanna try that Oreo no-bake. I love our magic machine. Seriously... the dude got me cooking again! Wow what lovely recipes! Love the apple cake! It looks so yummy and you've made it seem so easy. I'm going to try! Wow...! I look at the recipe/instructions and all I see are ".. seconds". Amazing!